Our team has provided wonderful inspiration for you. Head over to Just Add Ink and take a look. I love Wednesday’s as that means it’s time for a new sketch over at Freshly Made Sketches. Our designer for this wonderful sketch is none other than the fabulously talented Cindy Hall. Head over to her blog and check out her lovely creations. 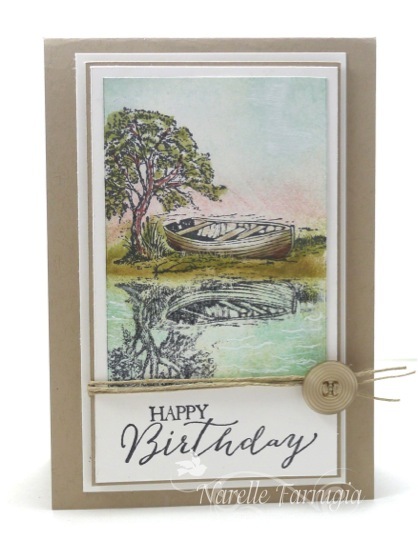 Our team has provider gorgeous cards to inspire you so head over to Freshly Made Sketches and check them out. Why don’t you play along this week? It’s Wednesday again, so that means it’s time for a new sketch at Freshly Made Sketches. Our sketch has been designed by the wonderfully talented Linda Callahan. Gee I love the circles on this sketch! Our team has created fabulous cards to inspire you – so head over to Freshly Made Sketches and take a look. We would love for you to join us. It’s here!!! It’s our 200th Challenge at Freshly Made Sketches. For this special celebration we have sponsors donating wonderful prizes. Take a look at all the amazing sponsors below – they have truly made this challenge into something special! 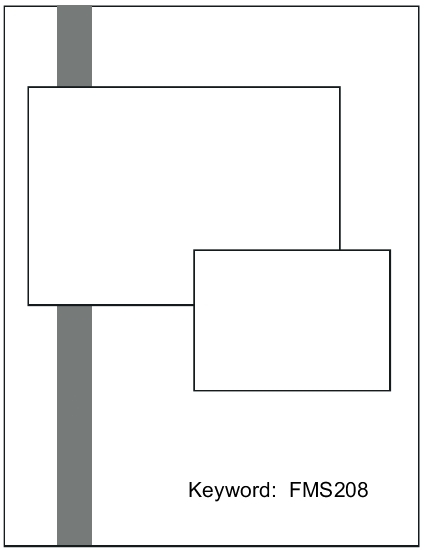 Here’s our sketch for you to create your card. 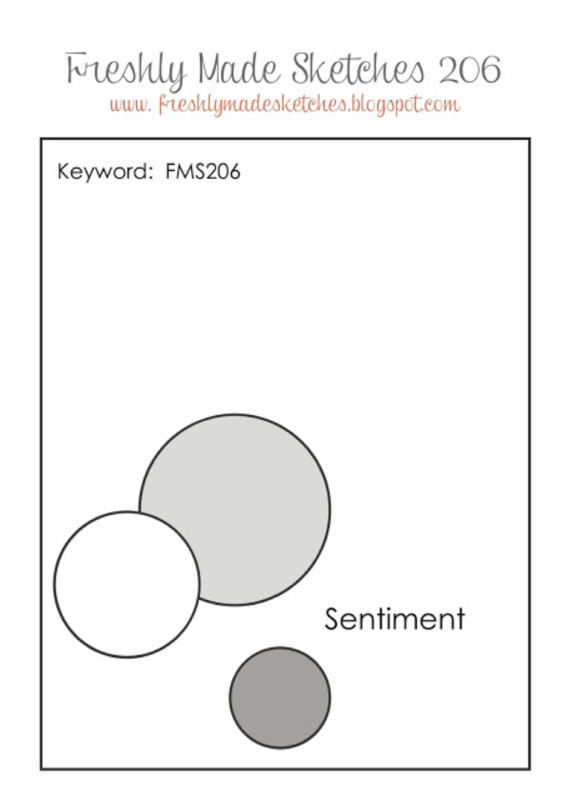 This sketch can be interpreted in so many different ways (as is shown by the fabulous inspiration from the Clean Team and all of the Design Team members from the sponsored companies). I had a day off work last week and I think I spent half the day trying to put a card together. Instead of a straight line through the middle of the sketch, I cut my cardstock on an angle just for something different. I know I have a few more layers on my card than what is on the sketch, but if you know my cards, you’d know how hard it is for me to keep the layers to a minimum. The colour combo I’ve used is Whisper White, Basic Black and Coastal Cabana. 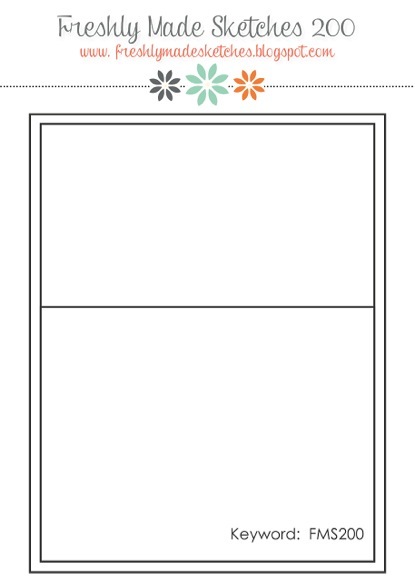 My “Thanks” sentiment is from Stampin’ Up!s Greetings Thinlits and is cut twice and glued together. I then added a layer of Crystal Effects to give it a glossy finish – it’s a bit hard to see the glossiness in my photo but it’s there. 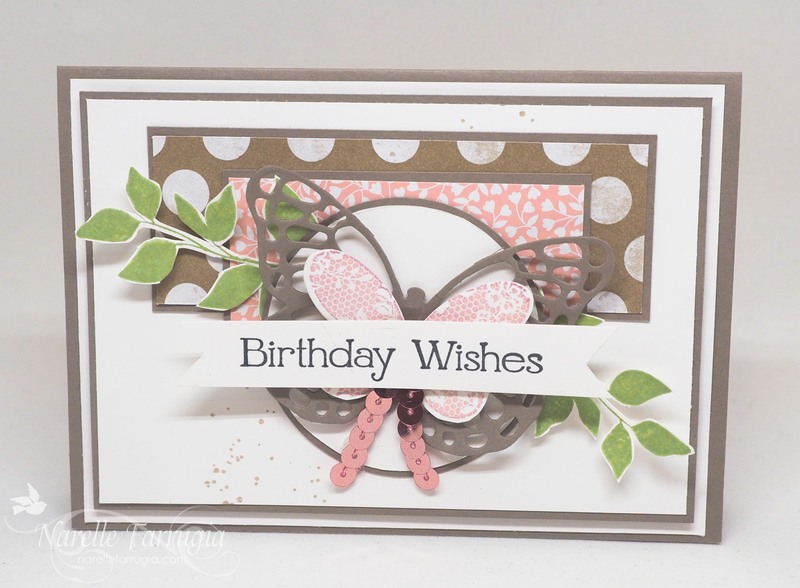 The “To a Good Friend” sentiment is from Stampin’ Up!s Happy Birthday Everyone set. 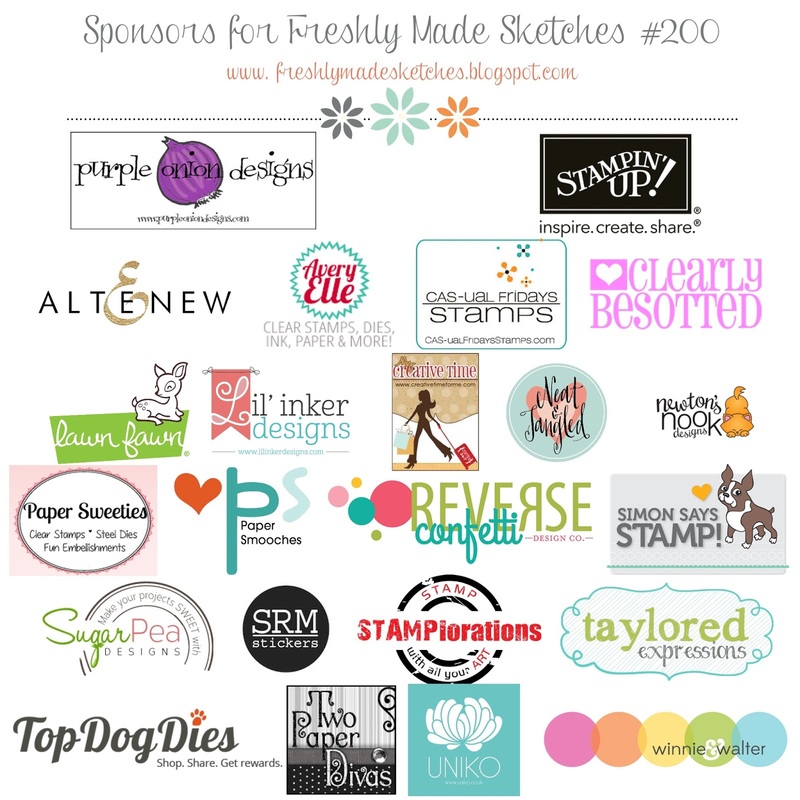 The DSPs I’ve used are Stampin’ Up! packs. 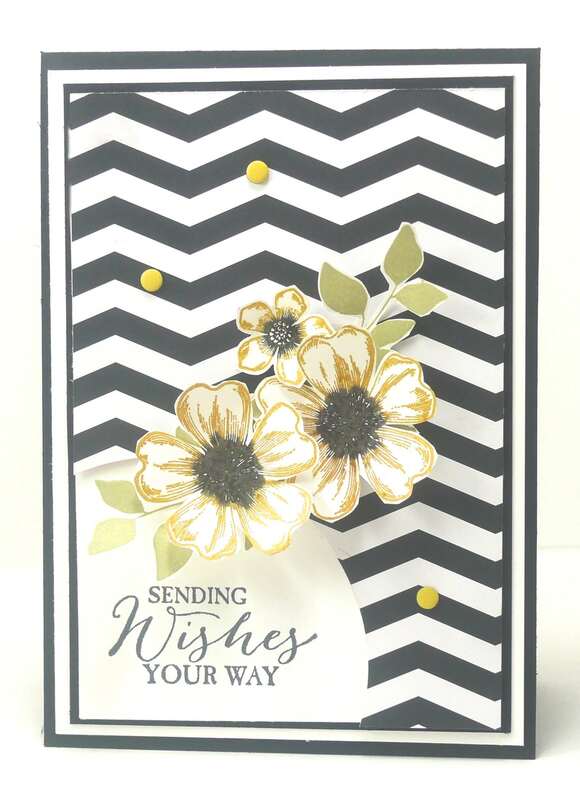 The Basic Black paper is from Everyday Chic DSP and the Coastal Cabana papers are from a retired stack called Fresh Prints DSP Stack. And lastly the butterfly is from Butterfly Basics. 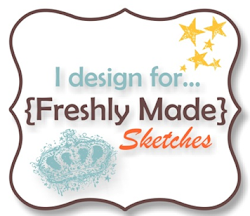 We have loads of inspiration for you over at Freshly Made Sketches, so head over and take a look. We can’t wait to see what you create! Good luck with the prizes! It’s not like me to be able to play along with challenges on a Monday but it’s a holiday here in Melbourne and I have some free time. After a quick look around at the challenges I found that Mojo Monday is having a design team search for their 400th challenge. Thought I’d play along as theirs was one of the first challenges I came across and it pretty much inspired me to get myself a blog. I really love challenges as they make me try different colour combos that I would never usually try. 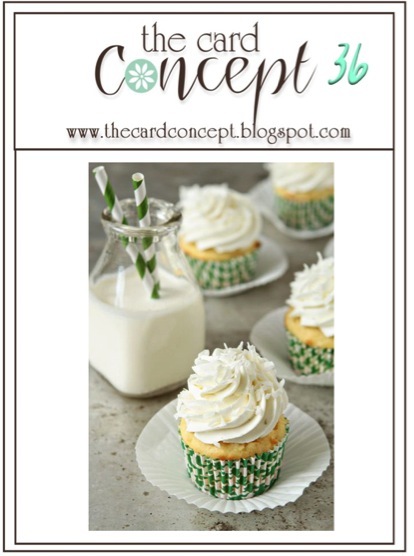 Take a look at the fab inspiration pic we have for you at The Card Concept. We’d love for you to join us with our challenge. Head over to The Card Concept and link up a card. While you’re there, take a look at the wonderful inspiration from the design team. 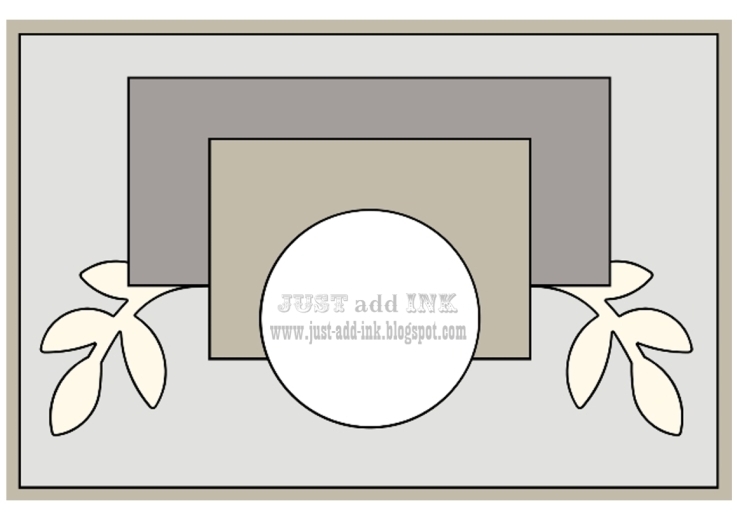 I came up with something different than I normally do – I created a scene with a Stampin’ Up! stamp set that is new to me – Moon Lake. To get the reflection of the boat in the water I stamped the boat image onto a window sheet and then pressed it down onto the cardstock. I created the water by sponging Pool Party ink onto the cardstock and the sky by dulling down the Pool Party ink on a piece of scrap first. To get a bit of a sunset glow I sponged Calypso Coral lightly on the cardstock. I then used my blender pen to colour the tree and boat. I used my white gel pen to draw in the little waves. 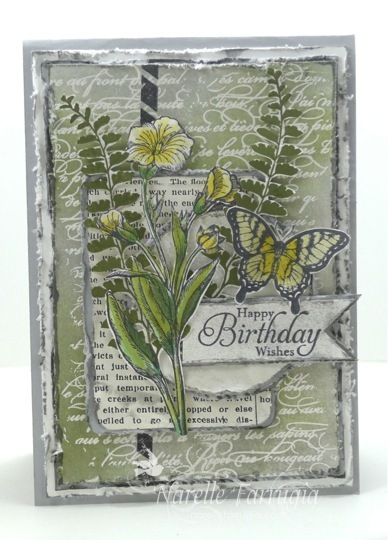 I love this sentiment from Butterfly Basics – I think it really finished off my card. I love how the design team have created very different cards to inspire you. Head over to Just Add Ink and check them out.